Andy Schoenberg was born in Lithuania in 1939 on the day Hitler invaded Czechoslovakia. He and his family escaped to Germany in 1941 to avoid the Russian deportations to Siberia. The family immigrated to the USA in 1951. He grew up in Cleveland, Ohio and graduated from Case Institute of Technology with a B.S. and M.S. in Engineering Science in 1964. He worked as a NASA aerospace engineer on a nuclear power station for the moon for four years. An opportunity to do research on the artificial heart project at the University of Utah and the prospect of skiing and mountaineering in Utah lured Andy to Salt Lake City in 1967 where he has lived to the present. 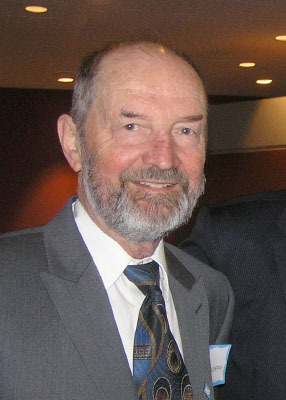 He received his PhD in Biophysics and Bioengineering from the University of Utah in 1972. At the U of U, Andy had served in a variety of roles. At the Utah Biomedical Test Laboratory (UBTL) he researched and wrote performance standards for various medical devices under contract to the FDA. At UBTL he started his research in the area of neuro-prosthesis. He taught Statics and Dynamics at the Mechanical Engineering Department as an Associate Professor for several years. Later he transferred to the Rehabilitation Department of the U of U Medical School, where he headed the Rehabilitation Engineering Laboratory. He worked there and supervised graduate students in projects aimed at restoring function for people with various cognitive and physical disabilities. In 1988, his concern for peace, human rights and the environment led him to organize and coordinate courses in World Peace Studies and Global ecological Issues offered through the Division of Continuing Education and Liberal Education. He retired from the University of Utah in 1999. He is active in various peace and environmental organization such as the United Nations Association of Utah and Utah Population and Environment Council. Andy has organized and participated in many public forums and radio talks. This includes speaking at the Hinckley Institute of Politics on various human rights issues such as the Rights of the Child , Convention on Eliminating Discrimination Against Women, the International Criminal Court and the Comprehensive Test Ban Treaty. In September 2000 he received the Gandhi Peace Award for his work in promoting peace and human rights. His latest project is to develop a solar powered electric vehicle called Ecotrike which would help reduce air pollution and global warming.